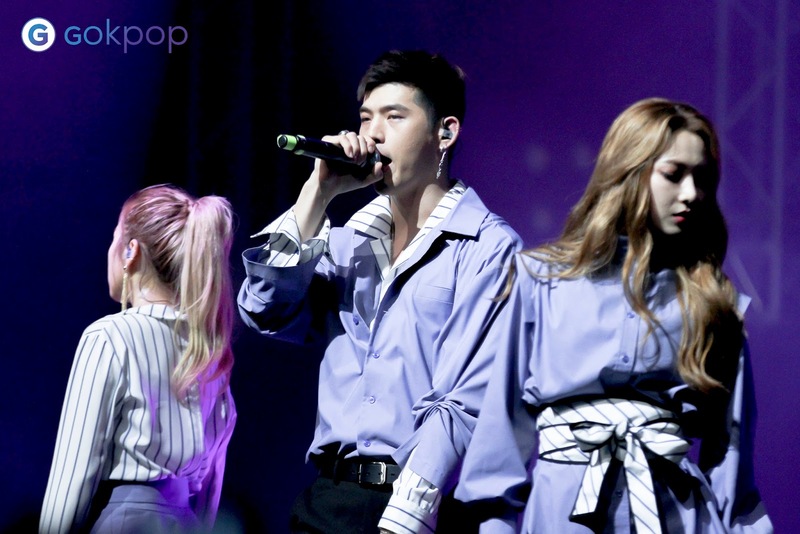 KARD, a co-ed group in South Korea, released their pre-debut tracks "Oh NaNa", "Don't Recall", and "Rumour". 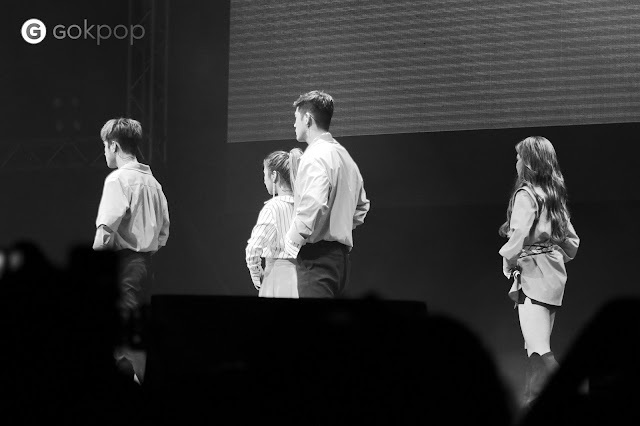 The co-ed group consists of two female members, Jiwoo and Somin, and two male members, B.M and J.Seph. The group garnered attention from both South Korea and International with their music video going viral on Youtube. Not only a social media sensation, they topped charts on iTunes and Billboard's World Digital Sales. Creating a name for themselves for their pre-release tracks, KARD officially debuted on July 19 with "Hola Hola". Establishing a strong presence in the Korean Music Industry, they won Best Rookie Award and Hottest Rookie in the year of 2017. 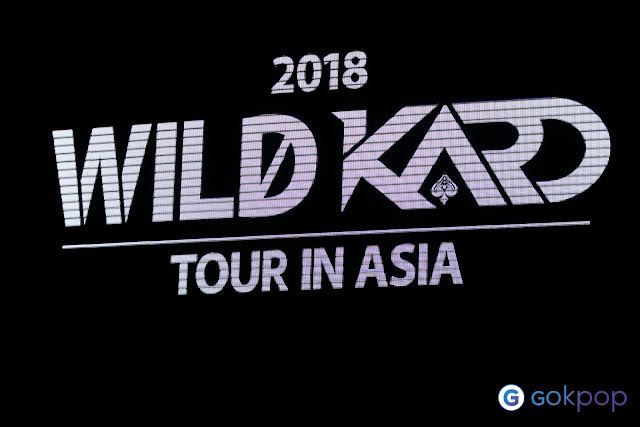 On the 21st January 2017, KARD successfully held their Wild Kard Tour in Singapore. The members impressed the fans with their superb vocals and dance skills. 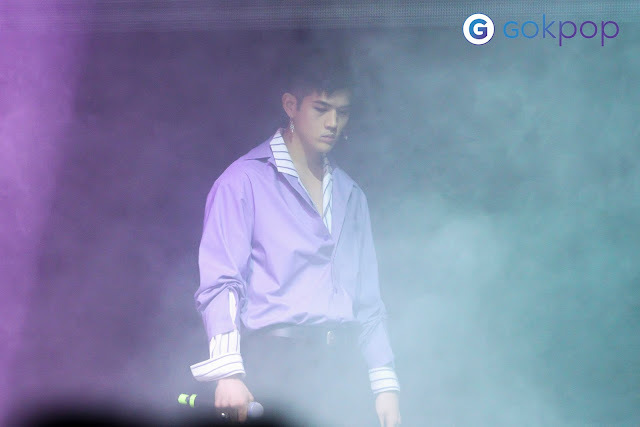 KARD kicked off the show with a slow beat song "Into You". At the moment of the members' appearance, the hall was overwhelmed with fans' excitement and cheers. Without further ado, they performed to "You In Me" from their 2nd mini album. Lights shined on the members, the excited members greeted the fans. An urge to scream loudly for their bias, this is the moment! The fans and members were on cloud nine to be able to see each other finally after so much anticipation. 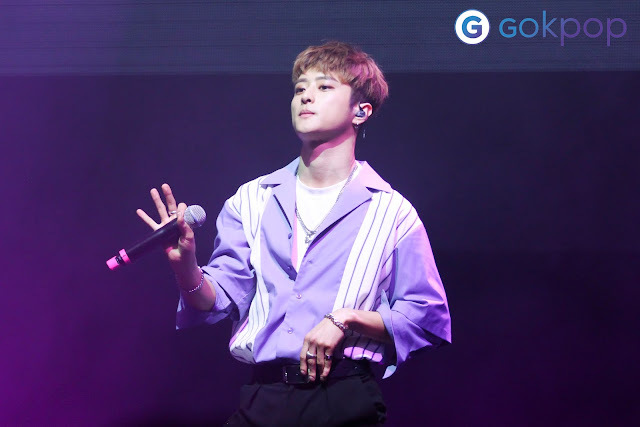 J.Seph promised the fans an unforgettable night with an array of performance prepared specially. 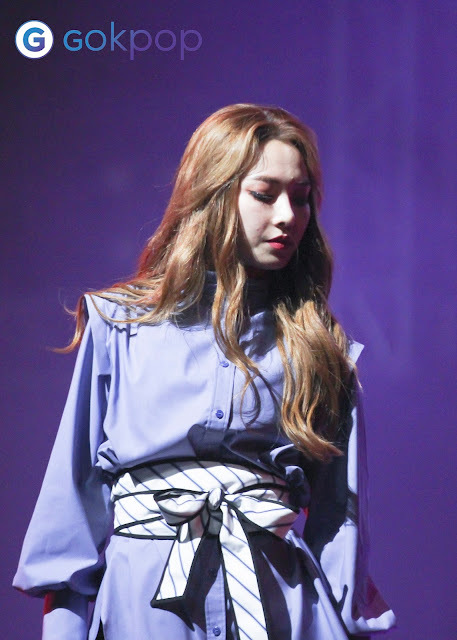 Performing to "Don't Recall" and "Rumour" from their early pre-release tracks, fans are in a trance because it is too mesmerizing. Their show definitely cannot miss out a segment for the members to answer fans' questions. Flooding with questions from the fans, the members were to pick out questions that intrigued them. Jiwoo picked a post-it for her to dance to Sunmi's Gashina. However, J.Seph and B.M were the ones who danced to the song instead. 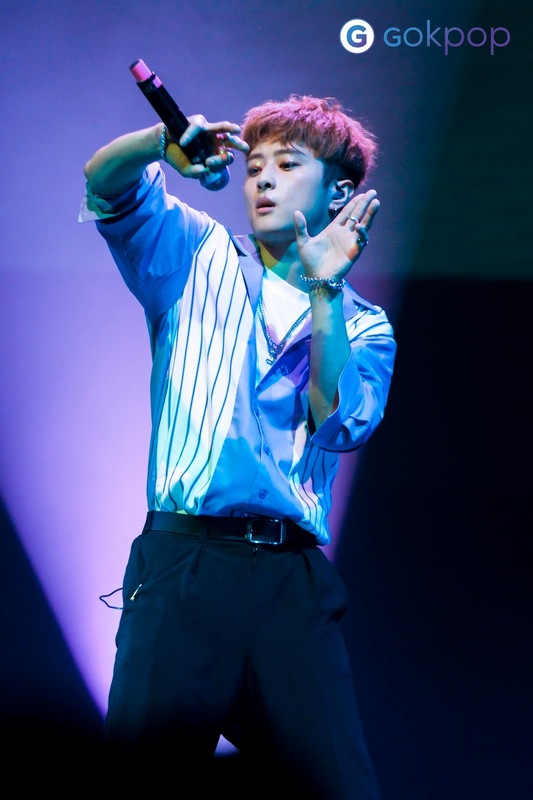 J.seph was especially looking forward to performing a cover of Gashina because he likes it a lot. Somin picked a question asking "How do you get over your difficult times?" She sincerely expressed that fans should find a hobby that interests them. For example, she personally likes watching a movie or getting a coffee. Next question from the fans, "What is a food you will eat for the rest of your life?" The answers were, B.M: Chili Crab, J.Seph: Rice, Somin: Rice Cakes. Each of the members prepared an exclusive solo stage for fans in Singapore. 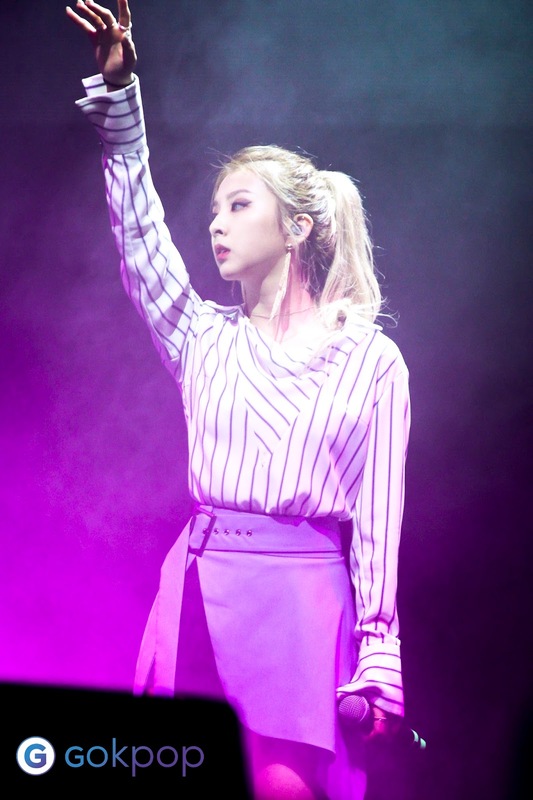 Jiwoo pulled off her own vibe for her solo stage, a cover of WINNER's Really Really. J.Seph performed a self-written rap. Somin did a cover of Taeyeon's Fine whereas B.M showcased Living Good 2.0. Fans who cannot get enough of B.M rapping skills , can let the song go on replay on his sound cloud. Undeniably, each member had a strong exquisite stage presence even though they were nervous performing alone. KARD did their own group rendition of Arina Grande's Side To Side and Bruno Mar's 24K Magic. It was breathtaking while the fans jammed along passionately. Without killing the energy, the group went on with "Push and Pull", "Hola Hola" and "Oh NaNa". Throughout the performances, fans were seen jumping in unison, some even danced along. Fans who attended the show definitely had an unforgettable night. Members of the co-ed group expressed their thankfulness towards the support from fans and promised to be back in the near future. 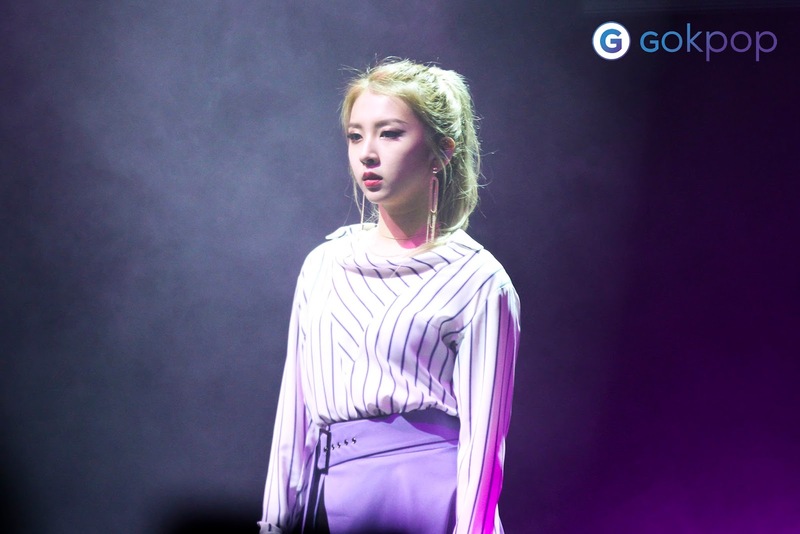 GOkpop would like to thank MyMusicTaste for allowing us to cover the event.